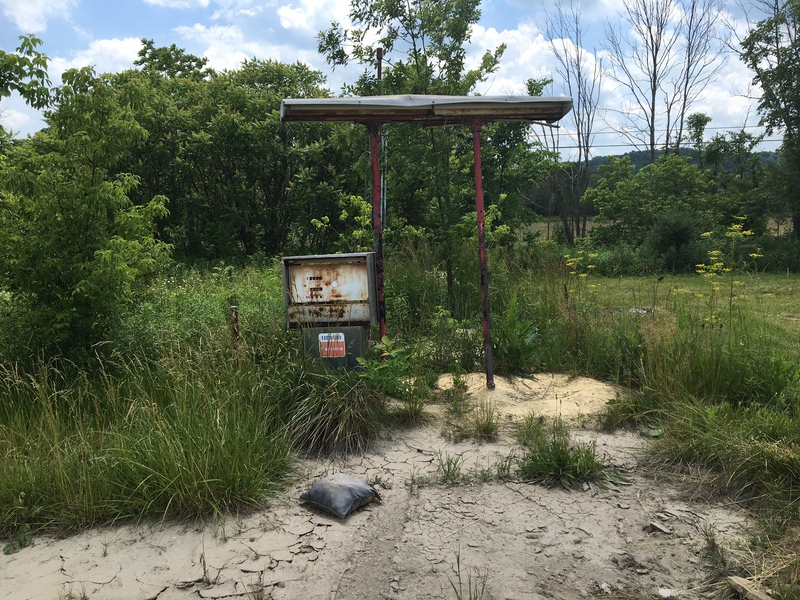 Abandoned Gas Station Grant Awarded to Stock Township! - BJAAM Environmental Inc. The Former Tappan Truck Stop can be found along Cadiz-Dennison Road in Stock Township. Since 1954, the site has been utilized as a gasoline and service station until its closure in 2003. Currently an abandoned building with two (2) service bays, hydraulic lifts, seven (7) dispensers, five (5) out-of-service underground storage tanks (USTs), a septic tank, and a potable well exist at the site. Over the past three years, the Harrison County Community Improvement Corporation (HCCIC) and the Ohio UST Community Improvement Corporation (Ohio UST CIC) have been completing due diligence work in order to make this site eligible for an Abandoned Gas Station (AGS) grant that is available through the Ohio Development Services Agency (ODSA). More recently, Stock Township has joined in on this project to serve as the applicant for the grant. Although a release was on file with the Bureau of Underground Storage Tank Regulations (BUSTR) for the out-of-service USTs, a confirmed release was needed for the site to be eligible for the grant program. In October 2016, a soil sample was collected by BJAAM Environmental, Inc. (BJAAM) in the right-of-way next to the dispensers. Analytical results were below laboratory detections limits. Via a peace warrant, BJAAM was granted access onto the property in July 2017 to collect an additional soil sample next to the out-of-service USTs. These analytical results indicated that chemicals of concern were above BUSTR action levels and thus reported to BUSTR. For further eligibility of the grant program, the site needed a non-viable responsible party (RP) that could not own the property. The HCCIC obtained the property title via eminent domain, and immediately transferred the property title to the Ohio UST CIC. The final step prior to submitting the grant application was the completion of a ground penetrating radar (GPR) survey, which confirmed no additional USTs existed at the site. The AGS Corrective Actions Grant application was submitted on January 16, 2019 and approved by the ODSA on March 25, 2019. The first phase of work includes an asbestos survey of the building and asbestos abatement if warranted. Followed by demolition of the building and removal of the five (5) USTs on the property. Upon completion, the site will be turned into a gravel lot with plans of potential road widening or expansion of the surrounding greenspace.